The Chronicles of Narnia: The Silver Chair will be starting with a clean slate for the franchise, Director Joe Johnston emphasized on Saturday. Joe added that The Silver Chair will not follow the design aesthetic of previous Narnia films. This certaintly raises interesting questions since there are four books remaining in the series, but perhaps Joe will elaborate in a future video. Stay tuned! We will be discussing all the latest news in the next episode of our biweekly podcast, Talking Beasts. Look for it on Tuesday May 30. I’m glad the Will Poulter question can finally be out to bed. I thought he was good in the role but he’s not irreplaceable. I guess this also means Lean Neeson won’t be back as Aslan a little disappointing but, oh well. The thing about Silver Chair being the start of a all-new trilogy is fascinating. That defiantly seems to imply that they might skip Horse and His Boy if they are able to make more after Silver Chair. Not sure how I feel about that. Though I think it is strongly likely that the next film, if SC does well, would be Magician’s Nephew, doesn’t mean that they would skip HHB in favour of LB, a much harder movie to make. I was quite excited to hear him say New Zealand. It is a beautiful land and a wonderful filming location no doubt, but there are many other beautiful places in the world, and I’d rather not have the film resemble Lord of The Rings. Filming on location yes, but as I envision the character of the lands in SC I imagine more of an Irish countryside, something with a distinctly more European Air, or perhaps Iceland. I was thinking Scotland or Wales:)New Zealand is nice though; just because LOTR was shot there doesn’t mean it will look the same. So am I. Especially as NZ has all the snow capped mountains anyone’s heart could ever want. Plus plenty of nearby sea. By the way, if you want mountains that aren’t snowcapped for Aslan’s country, how about across the ditch where alternate locations might be found at Kanangra Walls, or near Wentworth Falls? As a local resident, I will be watching with a lot of interest, to see which locations in the South Island (as Joe said) will be used. I’d rather MN be filmed in Kazakhstan. I’ll be honest here: too many changes can be dangerous. Most of Narnia fans I know liked at least the LWW and PC movies. If they make it too different from previous ones it will no longer feel like a Narnia movie. And personally, the first one really got most things right. Can we have a movie that is as good as the book? I hope so. But now I’m much more scared than excited. I’ll just wait to know more. I’m glad this is finally settled once and for all. He is too old. It’s time to start looking for fresh talent. I will be a little sad if the original Pevinsies don’t return later, but not much. Just give us good actors who can make the characters authentic. I quite disagree, in fact in the writing style that CS Lewis used in that book makes it one of the most film like in it’s narrative. Ordering the books in order from least movie like to most movie like I’d start with VoTD, PC, LB, SC/LWW (they’re about the same), and HHB. I totally agree with you and your rating system. I think the Horse and His Boy would make a splendid movie although since it has a totally different set of characters, takes place in a different place and has a different feel, it would be a sort of stand-alone, with only a tiny bit of overlap. Yeah you have a point. My main issue with hub is how different it is. I’m looking forward to this movie! Hopefully The Horse and His Boy will be next. We’re stoked! Clear out the overlit, terrible acting, and overly super kid friendly stench! Make this thing the real deal! Clearly, several commenters here didn’t watch the video. Johnston says it’s not a reboot. Let the little cry babies hate it and go run back to the first three crappy movies. We’re uncontrollably excited to see the real deal… Finally, the vision of C.S. Lewis on-screen. Yahooooo! When do we get to see this thing? PUMPED! I think your comments are inconsiderate. No need for name calling. And what’s wrong with liking the first three films? They weren’t perfect, but they were generally successful films. Even VDT (the least liked of the three) was a financially successful film. I will agree with you on one thing: we need a grittier Narnia film. But let’s remember why VDT was so geared towards kids: some fans thought Prince Caspian was too dark. IMO the real issue is that it didn’t lend itself well to a straight forward film adaptation. At the time, i felt the series was headed in the right direction. It’s still my favorite Narnia film so far. I am crying right now. Everything about this is awful. I hate that he is breaking all ties with the first three films. I hate that he’s starting everything over. NOPE. I can’t do this. I can’t believe that he’s going to kill the Narnia series. Joe Johnson is the wrong director. They’ve let a fox into the henhouse and he’s destroying everything. Exactly!! This isn’t a "new story" and shouldn’t be treated as such. It takes place in the same world as the first 3 films. They’re approaching this all wrong. In between snorts and tears, please join us in our chant for… Sir Anthony Hopkins as Aslan! Sir Anthony Hopkins as Aslan! Sir Anthony Hopkins as Aslan! As C.S. Lewis says, "Crying is all right in its way while it lasts. But you have to stop sooner or later, and then you still have to decide what to do." Join us! Sir Anthony Hopkins as Aslan! Sir Anthony Hopkins as Aslan! Sir Anthony Hopkins as Aslan! YES!!! That is an excellent idea!! Sir Anthony is perfect. No, please. Aslan should have more bass in his voice, like a lion’s growl. Anthony Hopkins would sound too much like a tame lion. Anthony Hopkins doesn’t seem right for Aslan. He would make a wonderful old Caspian, though (he does sleeping old guys really well (watch thor). Or Anthony Hopkins would be an interesting choice for puddleglum. Charles Dance would be a good choice to voice Aslan as well. Joe Johnston wasn’t the one who decided to make it a reboot. We’ve known this for a long time. Vodt was appalling. A new vision is needed. Also Jill and distance aren’t the pevensys. A sequel needs to be different or it fails. This is kind of annoying. PLEASE don’t treat this as a "reboot" because it isn’t. It’s the 4th installment of a much larger story and it should fit aesthetically with the other installments. Least surprising thing ever. Obviously he’s too old. Everything he said on this subject I pretty much expected. The thing I wondering about is the trilogy aspect. Although, we are probably thinking too much about this and that may have not been what he meant at all.He may of just meant he only personally signed on for three movies and not the fourth or that trilogy was just a word he used to describe it and there are going to be four films. Sir Anthony Hopkins for Aslan! Sir Anthony Hopkins for Aslan! Sir Anthony Hopkins for Aslan! Continuity is overrated?? That type of thinking is what gives us plot holes and uneven storytelling. If they were focused on telling one continuous story over several movie installments (a la Marvel Universe), then yes, I would be worried about continuity and plot holes as well. But this is Narnia! These are adaptations of a classic children’s fantasy series from 50 years ago. Will Poulter is too old to accurately portray Eustace as he is written in the book. Clumsily trying to write the story around an obviously miscast actor is not only a sign of a bad adaptation, but also a plot pothole in itself. It’s not just that the books are 50 years old, but each of the stories, with the arguable exception of LB, has a self-contained plot. If you were to read SC as a stand-alone book, you would be able to follow it just as well. There’s also the matter of almost a decade passing since the last film in the Walden series, and more than a decade passing since the last well-attended film. This is good news. I don’t want the stench of the old films in this one, and the rest. I believe this is going to be great. Yeah! This is what I’m mostly afraid of, not having the original actors to reprise their roles. I didn’t even want to do anything with Narnia anymore after what happened with Dawn Treader, but I can’t escape from it because it still consumes my mind and at the same time I can’t say No because the series still has a place in my heart because of that first perfect movie. And besides, I wasn’t really that excited when I heard that Mark Gordon green lighted it and I knew I wasn’t going to trust him. I just can’t be excited. I can understand that Will Poulter is too old, but I can’t have them recast Liam, Ben and Peter Dinklage. Even though I’m happy that Tristar is for filling Douglas Gresham’s wishes and David Magee is a great screenwriter, I just can’t be fully excited for this film. 🙁 I even think to myself, "the series were perfect until these new people came in and ruined it with Dawn Treader, so why would Silver Chair be any better?" I just can’t make up my mind. I trust that the Silver Chair will be better because in Dawn Treader they didn’t even make a lame attempt to stay true to the source material. Johnston is a fan of CS Lewis, so he says, let’s wait and see before assuming the worst. Please join us in our chant for "Sir Anthony Hopkins as Aslan!" Jimminy critters we’re just stoked at the possibility!!! Yeeeeah! Tony! Tony! Tony! Tony! Why do you think LWW and PC were so great? When Lucy walked through the wardrobe she walked into a sound stage. It looked cheap as hell. Fake snow and fake trees. SC will be shot in New Zealand! What am I missing?! JAZZED! Next question for Johnston– Will Sir Anthony Hopkins play Aslan? OMFGAMCBJ… That would be AMAZING!!! When will we know if this is true? Yes, dude, yes! You’re in luck because he said in his Q&A video last night that he is NOT bringing the White Witch into the story! There will be NO WHITE WITCH!!!! Only the Lady of the Green Kirtle, just as C.S. Lewis gave us in the text. He is staying true to the text and the book. Now, please join us in chanting… "Sir Anthony Hopkins as Aslan! Sir Anthony Hopkins as Aslan! Sir Anthony Hopkins as Aslan!" Yeah! No tame lions in Narnia! I think you stated my feelings as well. The source material is sacred the actors are not. Make a good movie with good actors, and I won’t complain about recasting. Recasting who? There aren’t that many, and they don’t have much screen time. Will Poulter was okay but he’s 24 years old! Do you have any idea what the visual effects would cost to make him look 14?! Let’s be real. I’m honestly surprised at all the people who still think this would work! Even 14 is too old for Eustace. He and Jill are solidly pre-teen, 12, maybe 13, at the oldest. "I’m going to start with an all-new cast." All right, Will is definitely too old but what about those actors who play a small role in the book but who are very important, if we take sentimental reasons under consideration? I think about Ben Barnes- he has his short but important scene at the end of the book, in Eustace’s school. What about Liam, the voice of Aslan? I am incredibly disappointed that they are rebooting the franchise, since the original films were what made me fall in love in the first place. Even if Will couldn’t come back, they could have easily brought back Peter Dinklage, Ben Barnes, and Liam Neeson, since they have very small roles. I’m also worried that rebooting the franchise in the middle of the franchise won’t help with marketing and getting non-book fans to see the film. I’m still going to see the film, but it is no longer the most anticipated film ever. Now it is just another film. 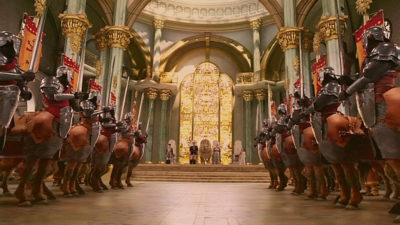 I am extremely protective of the Narnia Chronicles and have waited my entire life for these films to be made. I know I am not alone. There is a group of us that are torn, we want to see it done but "you better not mess this up". I was so mad when I saw Prince Caspian in the theatre that I almost walked out. They turned it into hollywood drivel by adding storylines and scenes that were so pointless and/or hopeless. In the end, as long as they don’t do that again, I am ok with it. I really enjoyed the other 2 and think they did a great job. I like Will as an actor but he just never suited the Eustace in my own head so I am ok with a recast. But it would be better to include originals. Can’t they do a bit of both? Reboot but with ties? It’s a shame that they have to bring in new actors, especially in The Last Battle (thinking ahead). But I totally understand. I look forward to the new vision and am willing to give it a shot! Good luck, Joe!!! This is all encouraging except for one thing: I really can’t imagine anyone but Liam Neeson as the voice of Aslan. Even if everything else changes, I really hope they maintain that link. Liam Neeson (with white beard) as Old King Caspian! I do not why people get so caught up with this. I have no difficulty with a new cast, especially after the overkill that Orlando Bloom did of Legolas in The Hobbit movies. For The Hobbit I would have preferred it if the movie-makers had done some research on the kind of women that Bodvar Bjarki, or the little bear warrior, and his father Bjorn associated with and the kind of women that Sigurd, the dragon-slayer, and his father Sigmund associated with, especially given that Tolkien drew on such characters from Old Icelandic literature to portray Beorn and Bard. It would have done a lot to Beorn and Bard’s character development and introduced into the movies the rise of the Beornings and the Bardings. The a Narnian film is not for filling Douglas Gresham’s wishes but all lovers of Narnia around the world, like me (in the Pacific). Doing the SC for Douglas’s wish is stupidity, we fans are on this also. Our wishes is the same as his but I don’t want any of Douglas’s personal things ruin the film. Liam Neeson voice for me did not fit the voice of Aslan’s as described in the book. Liam’s voice was a soft squeal. Unless they fix it, I do not want Liam’s natural voice again. The Lion was an eye-opener, but the voice is not that compelling. Aslan needs a deeper, richer and a stronger voice this round. The real golden voice, I say. Of course Poulter is too old. At the same time I hope they don’t cast a baby to play Eustace. The ages of the young characters in the books are too young for film adaptations. I think casting excellent child actors between the ages of 14-25 who truly love Narnia will make films more approachable to all audiences, without ruining authenticity. But on the other hand, I adore the first three Narnia films done by Walden/Disney/Fox. I also adore the original cast. I’m not sure I’ll be able to embrace a rebooted Narnia–even a soft reboot might be difficult to swallow. I’m just so torn right now. I feel you Mayor Wilkins. But don’t be discouraged, I believe this one will be even better than the first three. If they want it to be successful, they have to provide people what they want: they’re the ones who will be buying tickets. If they don’t care about ticket sales… that’s just odd. I get there’s an argument that a good movie should be all that matters. The problem with that alone is that good movies flop at the box office all the time. Movie quality doesn’t translate into financial success, otherwise, Transformers wouldn’t be popping out another sequel. If you’re wanting them to make The Magician’s Nephew, you want this to be financially successful. If it’s going to be successful, it needs to attract the younger millennial audience that was introduced to Narnia in 2005. So the style is important. It doesn’t necessarily have to be the same, but similar is probably a good thing. The look and feel of Narnia is established. Luckily, this film wouldn’t need to rely on what we’ve already seen as much. That doesn’t mean it’s wise to ignore what made the first three films work. The new producers would be very wise to take note of what people liked about what Walden did and expand on that while at the same time telling the new story as well as possible. For this film to connect with audiences, there has to be a degree of familiarity, otherwise you’d risk having a fairly old audience, who will only connect through their love of the book (which is respectable, but not necessarily good for business). I’d wager that most families with children today never read The Silver Chair, yet are familiar with Narnia due to the success of 2005 film. That is what they know as Narnia and that is the age group the producers want plopping their butts in theaters. My advice: try to reuse the old music score. It’d be hard to top it, as it was fantastic, and it could be the one thing that connects the Narnia movies together. Liam Neeson would be nice, but I get money could be an issue. The music though, that’ll connect with that modern movie goers, who might have been kids themselves when the first major film came out. This is all just my personal opinion, of course. I’m also not saying "no one under 40 has read The Silver Chair" because that’s just not true. 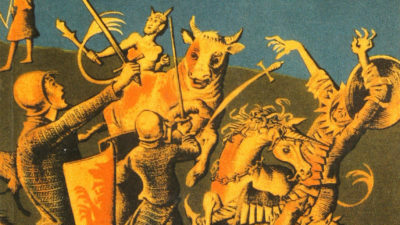 However, what I’m saying is over the span of the American population, modern parents probably don’t have a connection with the book The Silver Chair outside of seeing previous Narnia movies. What they know as Narnia is what they’ve seen in the movies. A shame? Yes, but it’s also the reality. They’re the ones frequently going to movie theaters too, which is why this decision is risky. I have to say I couldn’t be more excited that they are shooting on location. This is part of what makes some of my favorite movies and Television(Lord of the Rings and Lost) so personal to me. Sad yes to see Liam Neeson go away; but if we can get someone like Bryan Cox(original consideration) or Patrick Stuart in the role, who wouldn’t want that. I realize both those actors are older; but I always hear in my head reading the books an older Aslan anyway. But the best news of all about this is that their is no way Tilda Swinton can be forced into this movie, and the Narnia fans rejoice. *whisper* First comes "The Silver Chair", then…………………..
"THE LAST BATTLE – PART 1" and "THE LAST BATTLE – PART 2". Oh gosh, that’s…something! Where did you get desperate idea? The Chronicles of Narnia: The Voyage of the Dawn Treader – Explorer Pack DVD helped me understand the movie much better. I can’t really call it a movie that made a bad mark…. my love for Films 2 and 4 (The Lion, the With and the Wardrobe and Prince Caspian) are equal, and I have all the collectibles and even have a tape-recording of "Prince Caspian: The Extended Motion Picture" from ABC Family. I was simply saying by today’s standards, with Harry Potter and the Deathly Hallows, Breaking Dawn and Mockingjay, it wouldn’t surprise me if – since Joe Johnston had the audacity to call "The Silver Chair" the first in a new trilogy, which usually means following the same characters for 3 whole films…. it would NOT surprise me if they split "The Last Battle" into 2 parts. Perhaps but how does that facilitate for Diggory and Polly and the Pevensies appearances in LB 1 and 2 without the events of The Magician’s Nephew and The Horse and Boy having being filmed? Though perhaps the events of those books are alluded to through a combination of story-telling and flash-back to flesh out LB 1 and 2? They can still use older Will and the old Pevensie cast in latter books (like the HHB and TLB). So sad to hear it. I know that the final result will be awesome but sad to hear that the previous crew will not appear on the screen. I love the previous crew a lot.The decision of making of Silver Chair should be taken earlier when they were younger. Who are in the crew now? 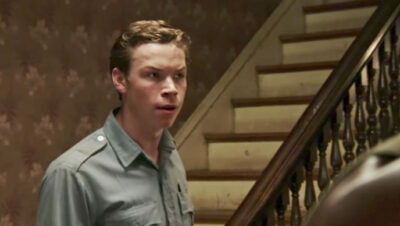 Pg the pevensies aren’t in this one only Eustace, and the actor Will poulter is too old. David Magee told me on Twitter today that he supposes that they are in pre-pre-production. "I suppose we’re in pre-pre-production — not in active casting phase yet — but moving on pace and going strong." So I guess we won’t be getting any casting announcements for another few months but I still think we will get a release date announcement before July. vote on your dream cast for the movie! While I understand that Will Poulter is too old to play Eustace, I’m pretty disappointed that they’re completely starting over. The other films weren’t always perfect, but I got attached to the characters and the aesthetic, and that version of Narnia is what I often imagine now. I would have even liked to see Ben Barnes appear as Caspian again.